Are you a true believer of Hinduism? Sand Pebbles Temple Tour Packages Odisha is all that you need for a meaningful, spiritual, and religious expedition. Custodians of beliefs of more than a billion people: the holy temples of Odisha cross the boundaries of time to sanctify the lives around them. Well, it can be said – In religion all countries around the globe are paupers; but India is the only millionaire & Odisha is the richest of all. From the world famous Puri Jagannath Temple to the Lingaraj Temple in Bhubaneswar, Konark Sun Temple to name a few; the sacred land hosts thousands of ancient wonders of just about every faith. The best thing about Temple Tour Packages Odisha is, people from across the globe, regardless of their faith have so much to see & learn. Because “Hinduism” is not just a religion, it’s a way of life. 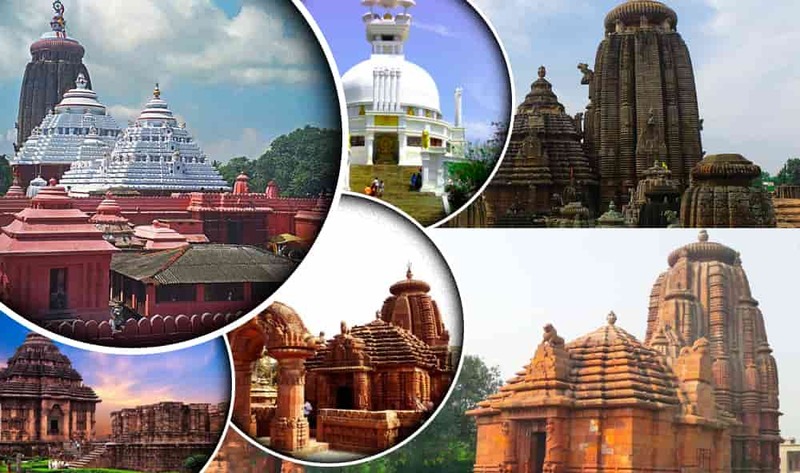 We offer amazing Temple Tour Packages Odisha, that are tailored to your interests and offer an opportunity to see the best that the state has to offer. On arrival at Bhubaneswar Airport/Railway Station transfer to hotel. Later visit to Nandankanan Zoo (Closed on Monday). Overnight at Bhubaneswar. After breakfast drive to Puri en-route visit to Dhauli (Ashokan Rock Edict and Shanti Stupa), Pipili (Applique Work Village), Sakshigopal (Radha Krishna Temple) & Raghurajpur/Naikpatna(Painting Village). Arrival at Puri, Check in to hotel. Evening visit to Lord Jagannath Temple to Participate in the Live Aalati Darshan (Non Hindus are not allowed inside the temple). Overnight at Puri. After breakfast visit to Konark Sun Temple, ASI Museum (Closed on Friday), Ramchandi Temple & Chandrabhaga Beach. Afternoon free on the golden beach and relax on beach market of Puri. Overnight at Puri. After breakfast drop at Bhubaneswar Airport/Railway Station for onward journey. AC Dzire for 02 people, AC Etios for 04 people & AC Innova for 06 people. Accommodation including breakfast at all the places. Only dinner is included in Hotel Mayfair Waves, Puri. 01 double room for 02 people. 02 double rooms for 04 people. 03 double rooms for 06 people. Boating in Chilika lake at Satpada for 03 hours. Monument fees, camera fees, guide charges.